Charlotte’s One Week Old Today! That means one week ago I had the craziest damn day ever (details to follow… I promise). It also means that this past week has been the best and most precious ever. Happy one week old day, baby girl! 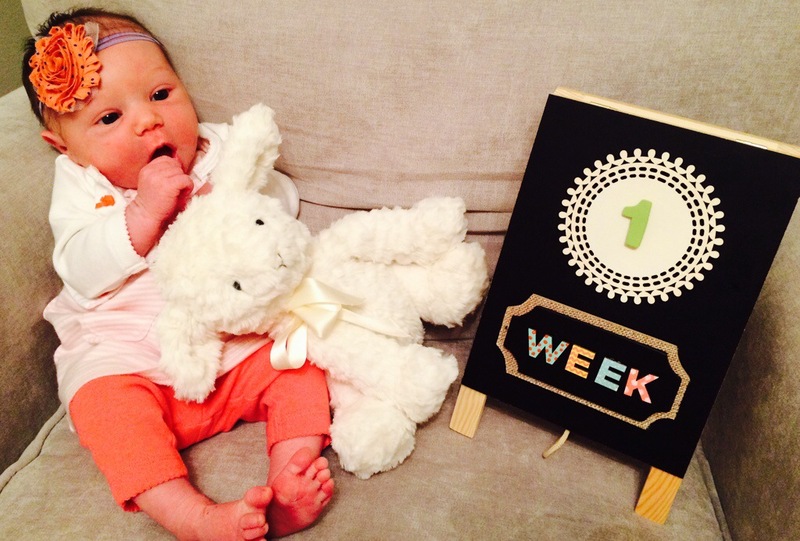 The one week sign was made by my friend Jenna and I and the headband was made at my baby shower! Cheers to DIY! She’s beautiful!! Happy one week!